Most of us think we have a soul — but what does that actually mean? Stream CBC Arts: Exhibitionists S04E18 now! How do you define what a soul is? Most of us think we have one, but what does that actually mean? The word "soul" is defined in the Oxford dictionary as "the spiritual or immaterial part of a human being." It's also an energy that can be revealed by a work of art — through drag performances and origami, in the lines of poems and in the movements of dance. 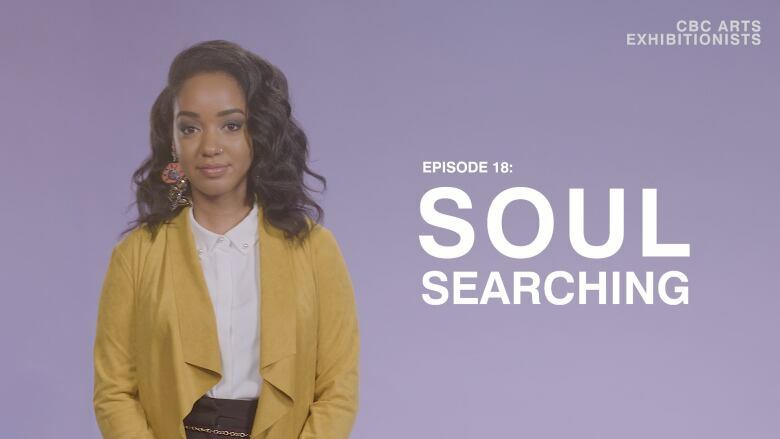 In today's episode, we meet artists who are all soul searching in different ways. A "supermodel mixed with the fire of Beyoncé," Toronto drag icon Tynomi Banks is here to inspire. Watch the video. Origami isn't a kid's craft — Joseph Wu uses the paper art to battle depression. Watch the video. With every tiny movement, Anne Plamondon brings you inside her father's schizophrenia. Watch the video. On World Poetry Day (March 21), we'll be launching season 2 of Poetic License — but in this week's Exhibitionists, we're giving you a sneak peek featuring Britta B. Escape to a magical dimension with this week's Exhibitionist in Residence, Saida Saetgareeva. Read our interview.